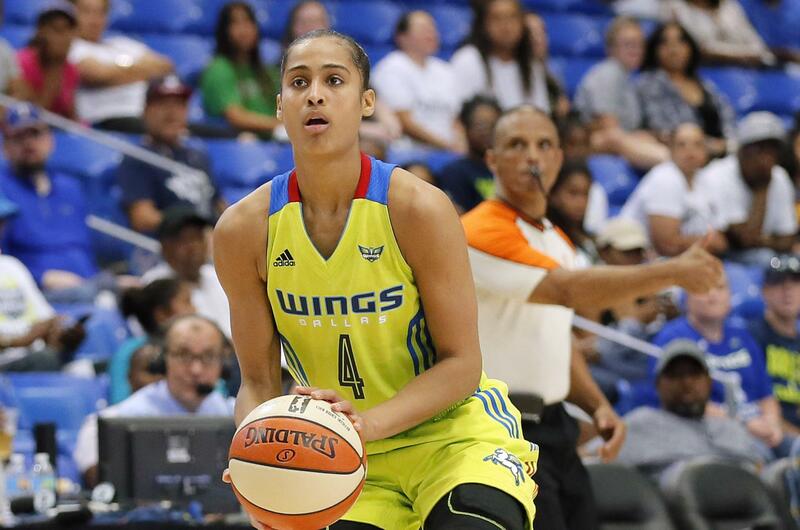 DALLAS – Skylar Diggins-Smith scored 27 points and Liz Cambage added 25 to help Dallas hold off Seattle 94-90 on Saturday night. The Wings rebounded from a tough loss to New York to end a three-game road trip by cooling off the Storm, winners of their last five straight. Cambage built on a 28-point, 16-board outing against the Liberty by grabbing seven boards and hitting 10 of 15 from the free throw line. The Wings (2-2) held the Storm’s Jewell Loyd to just 16 points, ending her string of scoring 20 or more points at five consecutive games. She was just 5 of 17 from the field, including 1-for-8 from behind the 3-point line. Loyd’s two free throws with 3:22 left got Seattle within 81-80, after the Storm (5-2) trailed by 17 at the half. Cambage then scored the next seven points, including going 5-for-5 from the foul line to give the Wings a cushion. Seattle wouldn’t go away though, getting with 92-90 with 2.2 seconds left after Breann Stewart banked in a runner. Diggins-Smith sealed the win with two free throws. Seattle’s Sue Bird sat out the game to rest and rookie Jordin Canada got her first start. She had nine points, nine assists and a career-high five steals. Published: June 2, 2018, 8:39 p.m.